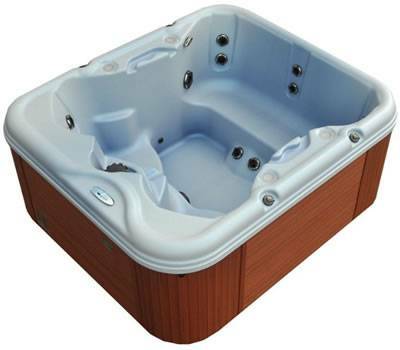 The Cove C500 Retreat 26 Jet Hot Tub is made in the USA by Nordic Spas. It gives you seating for five and includes 2 deep full immersion corner lounge seats. A 2hp 2 speed pump powers the water jets, which are carefully positioned to better aid whole body relaxation using Nordic’s Dual Therapy System. 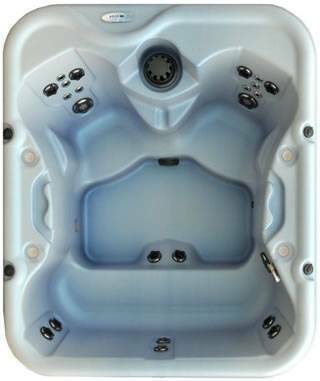 The Cove Spas Retreat hot tub is manufactured by Nordic Spas in Michigan, USA.The Retreat offers 5 person seating, a deep soak bench seat with front body massage. Enjoy all the luxuries of your own special “Retreat”.The Retreat hot tub delivers unprecedented value. With seating for five, this spa can help you create quality family time or simply offer sanctuary from every day stress to couples or individuals. 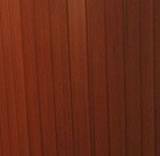 This hot tub offers a spa that really looks like a “Hot Tub” as it has a wood-effect cabinet as opposed to a one piece shell/cabinet construction. Its 26 high power jets supplied by a 2hp pump provides a great massage at an affordable price.The high density polyurethane shell is both comfortable as well as nearly indestructible. 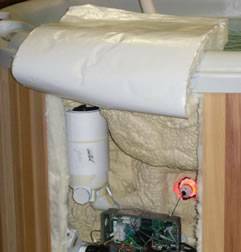 Unlike acrylic hot tubs, if accidental damage occurs it can be repaired using wet & dry paper. It is large enough for up to 4/5 adults on the unobstructed seating but also cosy for just two.Supplied in a “pure white” shell colour with a grey ‘Permawood’ maintenance-free wood-effect cabinet and grey top cover. The Robb Report, internationally-renowned for rating premium products, selected Nordic Hot Tubs as one of the five best spas in the world.You can enjoy classic hydrotherapy delivered via powerful, carefully positioned water jets supplied by Nordic’s exclusive dual-therapy system (DTS. A gentler, whirlpool therapy is also a feature- proven to better alleviate whole-body soreness. Professional athletes all over the world have enjoyed the benefits of whole-body, whirlpool therapy for years.The Cove Spa range is hand-crafted from the finest materials available, and incorporate the same components found in hot tubs often costing three times as much. The jets are controlled using a touch screen digital controller, providing fingertip adjustment of the water jets. 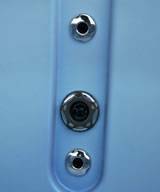 Whilst built in the USA the hot tub has all parts CE approved. It comes with a 2 year parts only warranty on electrical and plumbing equipment, and a 10 year shell warranty. 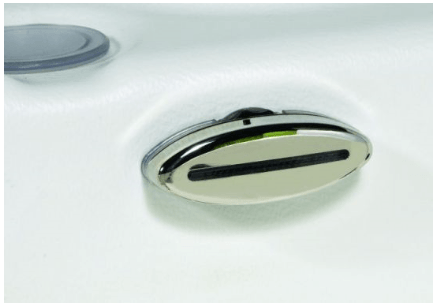 Nordic’s DTS™, or Dual Therapy System, is exclusive to Nordic Hot Tubs and comes as standard in all Cove Spas, this combines high flow water movement with a circular motion, to massage parts of the body that are forgotten in competitors’ spas. 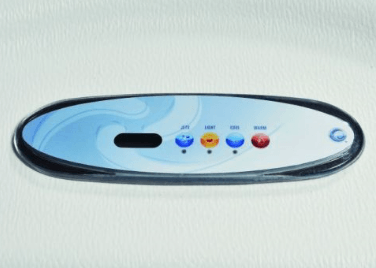 The combination of high flow water and individual jet therapy DTS™ provides is the perfect balance of active and passive muscle and joint relief.